USA Luxury Tours passengers indicated that they are very pleased in general with travel services they receive. Over 2,000 USA Luxury Tours passengers received a customer opinion survey with their annual newsletter. Out of that number, approximately 100 survey forms (representing a 5% return rate) were returned and analyzed. Listed below is the summary of the survey results. Respondents stated that they were pleased with the overall service provided by USA Luxury Tours and felt that the motor coach operators performed in a safe and courteous manner. Respondents also felt that the operators possessed positive attitudes and volunteered their service when needed. According to the survey results, it can be assumed that passengers were pleased with their assigned motor coach and that each motor coach was modern, sanitized, and comfortable. Passengers strongly agreed that they could depend on the arrival and departure times indicated on the tour itinerary. However, survey respondents expressed the need for a better system for boarding the motor coach before each tour. USA Luxury Tours has implemented a boarding plan system, as a result of this observation, that will allow passengers to board each motor coach according to a numbered boarding pass received upon arrival at the departure point. Respondents were very pleased with USA Luxury Tours established prices. They also indicated that they would use the service of USA Luxury Tours again and would recommend the company to friends, relatives, and groups. 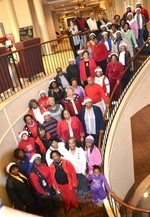 USA Luxury Tours motor coach coordinators received good ratings for their performance. They were held in high esteem for their ability to maintain good morale among passengers throughout each tour. Two respondents requested more designated "quiet time" during travel. Finally, when asked what aspects of the tours were most enjoyable, the following answers were given. These answers are not necessarily listed in the order of importance. 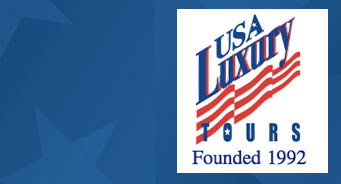 USA Luxury Tours greatly appreciates the participation of those who provided feedback from the survey. We value very highly your opinion as our customers. In an effort to continuously improve services for our customer base, we strongly encourage your feedback to our staff and crew. Future methods of obtaining feedback from our customers are planned.